My daughter went to see SING over Christmas vacation last year and loved it! She thought the animals performing rock n roll music were both cool and hilarious, so I decided she needed some rocker accessories of her own. 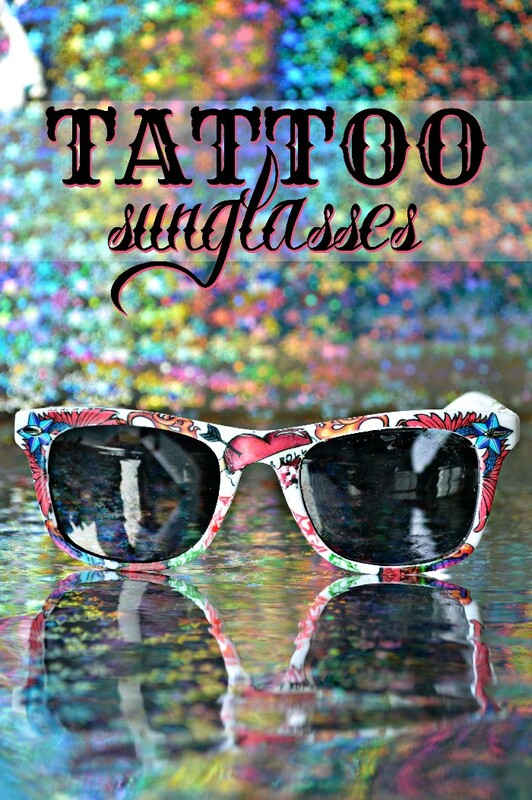 Sunglasses are the ultimate accessory when you are trying to look cool, and tattoos are about as rock n roll as you can get. 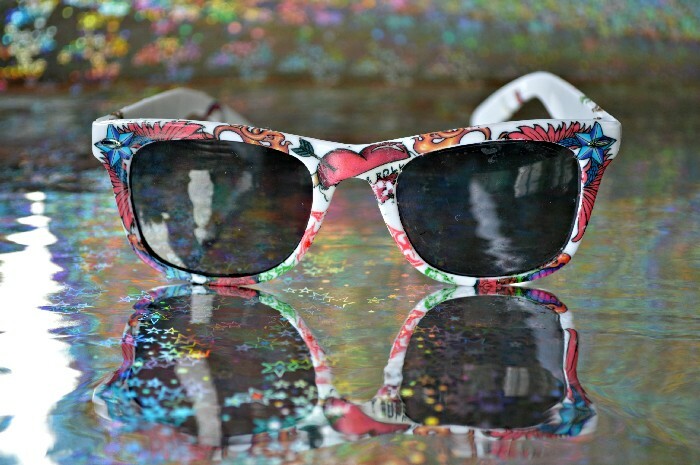 I combined the two in a kid-friendly way with this simple rock n roll sunglasses craft. You don’t need many supplies for this fun DIY, and they are all relatively inexpensive. I found these sunglasses at the dollar store, but I suggest that wherever you buy your glasses you make sure to buy ones with white plastic frames. The colors of the tattoos show up much more vibrantly on the white plastic. 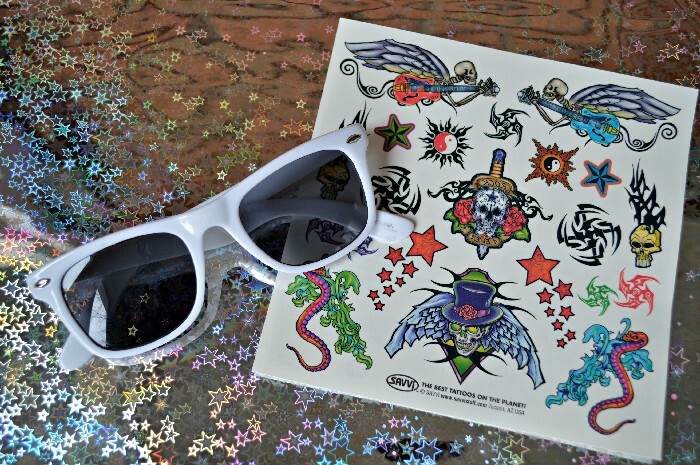 Basically, you apply the tattoos to the glasses in the same way you would apply them to skin. Cut out the tattoo you would like to apply. 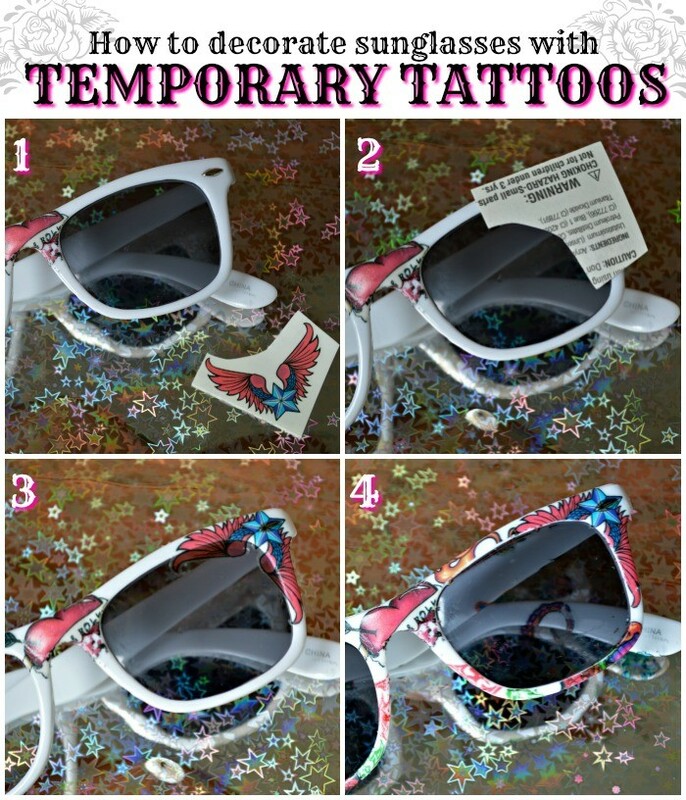 You may choose to cut the tattoo into strips or smaller pieces to make the design fit on the frames. Remove the plastic backing and place the tattoo on the glasses. Press a wet paper towel on the back of the paper for 30 seconds. Carefully remove the paper backing to reveal the tattoo. Clean up any part of the tattoo that has overlapped onto the lens with your fingernail or a craft stick. 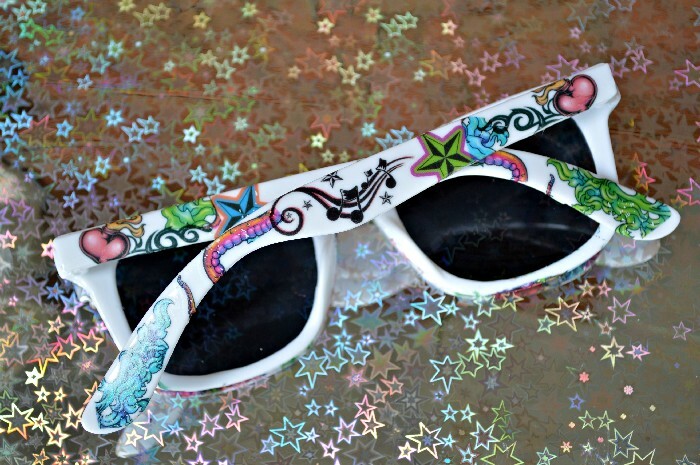 I chose to do an all over, tattoo sleeve-style design on these glasses but you can decorate yours however you like. After you have applied all the tattoos, give the frames a coat of outdoor Mod Podge to seal them in place. For even more fun SING themed crafts that you can do with your kids, visit the Dream, Make, Create website. If you’ve been waiting to get your hands on your own copy of the movie, you can get Universal Pictures Home Entertainment’s SING on Blu-ray & Digital HD today. So clever and fun!! This movie looks amazing – can’t wait to see it! Those are cute! What a fun idea for a birthday party.